Bailey has the customer in mind with every new motorhome, and the 2019 season is definitely no exception. Each new Bailey 2019 motorhome is designed with both living and driving in mind, meaning that you get the best of both worlds when it comes to interior design and practicality. 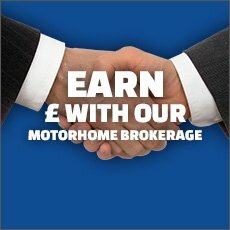 A firm favourite among first time buyers and veteran motorhome owners alike, their affordable price tag means that more people than ever can enjoy a new Bailey motorhome. 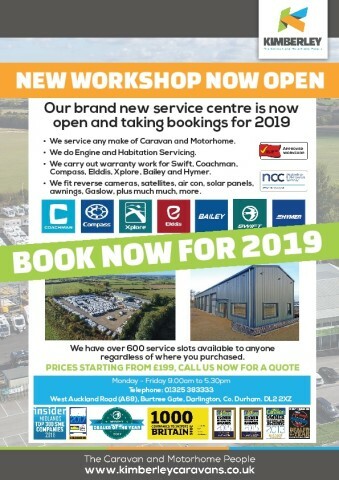 Enquire at our Darlington branch to view any of our 2019 Bailey motorhomes in stock, close to the A1 and A68 with great links to the North East and Scotland. The Bailey Autograph range has something for everyone, sleeping from two to six people in a range of layouts including rear lounge, island bed and twin bed options. Each Bailey Autograph motorhome benefits from a well-lit interior coupled with 'Grosvenor' soft furnishings to provide you with a relaxing environment to return to each evening. Upgraded furnishings for 2019 complete with Fibretek upholstery linings give you twice the thickness for extra comfort. Bailey Autograph motorhomes are built on an AL-KO chassis and are now fitted with a Peugeot Sat-Nav as standard to keep your adventures on track, or off it! Ideal for first time buyers, the new Bailey Advance is fitted with many new features for 2019 and coupled with an attractive price tag. Inside, a new Bailey 'Eucalyptus' furniture finish combined with a completely redesigned kitchen has transformed the interior of the Bailey Advance into a true home-from-home. The vehicle construction has also been upgraded for 2019, and now features cab air conditioning, cruise control and a new double-glazed sky opening over cab window to allow magnificent sky views. Take a look at our new Bailey Advance motorhomes available at Kimberley's Darlington branch, sleeping from two to six people. View the stunning new range of Bailey Alliance motorhomes at Kimberley’s Darlington branch. The new six model range provides you and your family the freedom to travel wherever you choose in ultimate comfort with a variety of layouts to suit your needs. Inside, new ‘Portland’ soft furnishings create a contemporary, relaxing space, whilst outside a wind out Fiamma awning and solar panel help you to enjoy the outdoors wherever you are. View the whole range below; enquire at Kimberley’s Darlington branch for further details or to arrange a viewing.